When choosing the roofing shingles for your house, there are several considerations, especially if you live in Indiana. You will need protection from the hot, wet summers and the cold winters, and your roof should stand up against extreme temperatures. But what about the look of your property? Does choosing a beautiful roof mean having to compromise your house’s performance? Rogers Roofing defines the Belmont shingle collection as having the natural beauty of slate combined with the outstanding performance of asphalt roofing. The combination makes it a good option for roofs because it can withstand harsh weather conditions while still improving the curb appeal of the house. The natural beauty of slate roofing is emphasized even more by the colors of CertainTeed’s shingle collection. Homeowners can choose from deep blacks and grays or browns with ochre highlights. Whatever the design of the house, Belmont shingles are sure to complement it and emphasize other aesthetic elements. The result is a house that stands out, with all the parts of it coming together for a design that’s unique to the homeowner’s preferences. Indiana residents should consider the longevity of the roofing they choose. 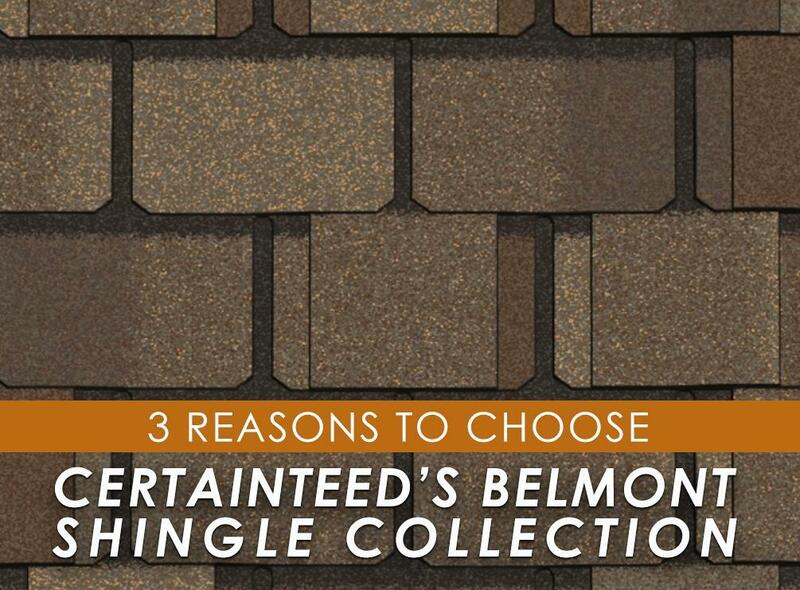 This makes the Belmont collection ideal for them because the shingles are Class A fire resistant, on top of having a lifetime warranty that keeps homeowners feeling safe in their homes. The algae-resistant shingles also prove their durability, lasting years even under harsh weather conditions. Wise homeowners want the best of both worlds: they want roofing that is both stylish and durable. If you have any questions about roofing, particularly about CertainTeed’s Belmont shingle collection, contact Rogers Roofing at (219) 228-8210 and (773) 492-2270. We serve Crown Point, Northwest Indiana, and Orland Park, IL.